No Remorse? What Happens to Youth Who Fail to Display Remorse in Court and Why Should We Care? Juveniles transferred to adult corrections systems reoffend at a higher rate than those who stay in the juvenile justice system, according to a new report from the National Institute of Corrections (NIC). The report also found insufficient evidence that trying youths as adults acts as a crime deterrent. Entitled “You’re an Adult Now,” the report published in December 2011 is based on the findings of three-dozen juvenile justice and adult corrections experts convened by the NIC in 2010 to identify challenges when youth are transferred to adult court. 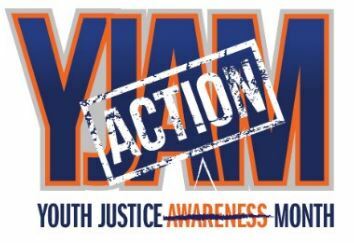 Highlighted in the report, written by Jason Ziedenberg, director of juvenile justice at M+R Strategic Services, was research by the Centers for Disease Control that found youth transferred to the adult system are 34 percent more likely than youth who remain in the juvenile justice system to be re-arrested for violent or other crimes. The safety of juveniles in adult prisons is also a serious concern, according to the report, which cites a Bureau of Justice Statistics study that found, 21 percent of the victims of inmate-on-inmate sexual violence in jails in 2005 were under the age of 18. The same study reported 13 percent were victims in 2006. However, the report notes only one percent of inmates are younger than 18. Bobby’s co-defendants, Young, who provided the weapon, and Woolfolk, who fatally shot Warner, were convicted of second-degree murder and are serving paroleable life sentences. These sentences and Hines’ sentence are vastly different. Why the discrepancy? What happens to adults with juvenile records? Adolescence is a challenging time for most people. Teenagers undergo significant developmental, physical, psychological, and social changes during a condensed decade of time. We have all done embarrassing things as adolescents; however, we are comforted by our coming of age and the slow regression of those memories. According to a recent study, while 1 in 3 Americans have some contact with the juvenile justice system – most are cited for infractions. Youth who commit crime are in the minority (never more so than now), and even then, the infrequent contact they have is typically for a low-level misdemeanor (such as petty theft or vandalism) that often results in a community-based remedy and the dissolution of their delinquent record upon reaching adulthood. But what of the teenagers who embark on more serious delinquent careers? An October 2011 blog by the Criminal Justice Degrees Guide, catalogues 8 different celebrities with juvenile records who have a successful and illustrious adult life. These celebrities include among others: Mark Wahlberg, Allen Iverson, Danny Trejo, all of whom where arrested for serious violent offenses as youth. In addition, both Merle Haggard and Danny Trejo served time as adolescents in California’s notorious Youth Authority (the state’s institutional system for juvenile offenders). While most juvenile offenders do not continue on to an adult life of crime, including even the most serious offenders (as above), there can still be real-life consequences for adults with juvenile records. In California, for example, a juvenile court record is not automatically sealed upon reaching age 18. In fact, to have your juvenile court records sealed you must affirmatively file a petition with the juvenile court in the county where the conviction occurred. But not all juvenile records are sealable. Since the passage of Proposition 21 (2000), certain serious juvenile offenses committed by a 14-year-old or older are barred from sealing. Recently signed legislation in Maryland requires the state’s Department of Juvenile Services to report the recidivism rates for each juvenile in residential treatment, broken down by program and placement. This is excellent news for juvenile justice reform in Maryland. According to an analysis by Maryland’s Department of Legislative Services, this reporting will not cost any additional taxpayer dollars, and yet the citizens of Maryland will receive two huge benefits. First, the legislature and the public will now have easy access to data on recidivism, broken down by type of program. This is a key reform because general recidivism rates can mask the success and failures of different programs, and particularized data is necessary to make informed legislative choices. Second, the simple act of being required to report this data to the Maryland legislators will put the onus on Maryland’s juvenile justice stakeholders to improve their system. By having to publicly state their Department’s outcomes annually, Maryland will reach new levels of accountability in juvenile justice each year. This bill is win-win: no additional costs and positive returns for taxpayers and justice in Maryland. The juror, named Milagros, is a high school student. Everyone participating– judge, jury, advocate, clerk and offender – is under 18. 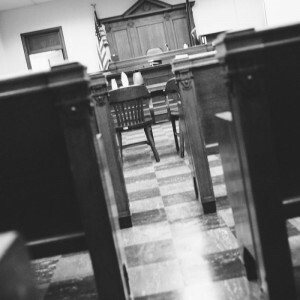 At the Harlem Youth Court, kids who have committed low-level offenses can avoid formal prosecution and instead tell their side of a story to a jury of their peers. Editor's Note: "Young Kids, Hard Time" originally aired November 20th. MSNBC will re-air it on Saturday, November 26th, at 2 pm PST / 5 pm EST. There are many imperfections in the nation’s criminal justice system. So many, it’s hard to know where to start. Take your pick: The public defender system, death row, life without parole or the whole idea of housing convicts together in hopes of rehabilitating them. Poke around a bit. You’ll find some disturbing problems. None, however, will shake you to the core like seeing a child doing hard time behind bars, serving a sentence twice as long as he is old. This is what you get in “Young Kids, Hard Time,” an MSNBC documentary premiering Sunday night at 10 p.m. EST. Here is a film that shines a light on a very dark side of the criminal justice system: the more than 200,000 kids who are tried, sentenced and incarcerated as adults. Sometimes busted in their early teens, these children remain in the juvenile system until they reach the age of 18. This is when they are transferred to adult population facilities where they serve the rest of their sentence with some of the country’s most brutal and hardened criminals. “Young Kids, Hard Time” shows what life is like for these incarcerated young people and examines the possible long-term impact on society. Juvenile Justice Reform - Tell the Right Story & Keep Going! Almost exactly three years ago, I was asked if I would be interested in launching, writing, and editing a blog for Reclaiming Futures, focused on juvenile justice reform and adolescent substance abuse treatment. My answer then: Would I ever! When I began, hardly anyone else was using blogging or social media to talk about juvenile justice or adolescent treatment. To say that's changed is an understatement. There's been a virtual explosion of skilled and thoughtful people disseminating news, opinion, new research, and best practices (in juvenile justice, anyway; teen treatment has a ways to go). I think that's great. But it's not enough. Where is Due Process in Juvenile Court? This quickly became my mantra when I started as a juvenile defender nearly a year ago. My colleagues heard it so often they joked about recording me and just playing it back while I was observing court proceedings so that I wouldn’t have to speak. Unfamiliar with the differences between how the criminal justice system treats juvenile and adult offenders, I was clearly unprepared for some of the things I witnessed when I first arrived in juvenile court. What I learned this to mean is that prosecutors, judges, and a state’sdepartment of juvenile justice have much more latitude to make recommendations for a child’s “best interests.” Because of this latitude, I have actually heard a judge say, “Don’t even think about requesting bond until you tell us where the weapon is,” at a detention hearing. What happened to the presumption of innocence, or the right to avoid self-incrimination? Decidedly, this judge believed it to be in the child’s best interest to explain what had happened, even if doing so would implicate the child’s own involvement. Reclaiming Futures depends for its success on the creation of multi-disciplinary teams at the local level. We ask participating jurisdictions to begin with a judge, probation officer, treatment provider, community representative, and project director. We encourage communities to expand from there, and most do -- after all, there's usually a lot more players who need to be at the table to make significant, lasting reforms. But many jurisdictions -- whether they're engaged in Reclaiming Futures or some other juvenile justice reform effort -- stumble when it comes to including prosecutors. Yet their support and participation can be key. That's why we're offering this webinar, "Working with Prosecutors," presented by Susan Broderick, J.D., on September 22, 2011 at 11:00am PDT / 2:00pm EDT. UPDATE: Ms. Broderick's webinar has been archived on this page - just search for her name or by the title of the webinar. Politicians use teleprompters, pilots use checklists, so shouldn’t juvenile judges use a benchcard to make sure they ask all the right questions at preliminary protective hearings regarding removing children from their homes? In fact, the judges were so impressed with the results that they wanted to move rapidly into national training on the benchcard and to utilize it to track—and hopefully reduce-- the overrepresentation of children of color in the foster care system. Think you can't dent the school-to-prison pipeline? The Honorable Steven Teske is here to tell you why you should and how you can. In this webinar, Judge Steven Teske will share the strategies used in Clayton, Georgia to work with the local school district to reduce referrals to juvenile courts, while simultaneously developing school-based strategies to address disruptive behavior. This collaborative arrangement has reduced serious juvenile crime both at school and in the community, while increasing graduation rates. Judge Teske will also share the importance of making this a community effort by reaching out both to the local media and civic groups to educate them on the effects of referring teens from school to juvenile courts, and the importance of developing strategies in the best interest of our youth.